Pastor Ganokorn Moody - Thai lady minister - charge: from Baht 5,000. The ceremony can be performed in English or Thai or both languages, as both ministers are fluent in Thai and English. Both ministers are willing to come to the location of your choice, within reason, on the island of Phuket. 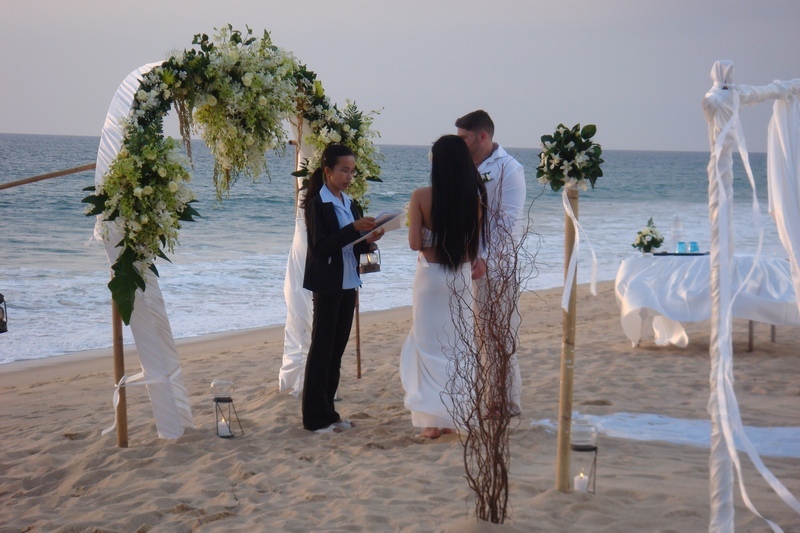 Please note that we do a religious ceremony only, and require proof that you can get married. Any legal arrangements are to be made by yourselves, and any other arrangements such as flowers, music, photographer, etc are also to be arranged by the you and/or your hotel. We provide a colour certificate, signed by the officiating minister, for you to keep. Please contact us at reclaimerofnations@gmail.com for any further information. We look forward to meeting with you, and want to assure you that it is our intention to help make your wedding ceremony a very special and blessed one. We wish you every blessing for your future together.